Among my favorite urban photography themes in Japan are the scenes with narrow commercial streets. I took such photos daytime and nighttime, during all kind of weather, and I came to the conclusion that, for some reason, they simply look best close to sunset, while it’s raining. Then, an entire puzzle of billboards is lit up, and the scene is enriched by colorful umbrellas. 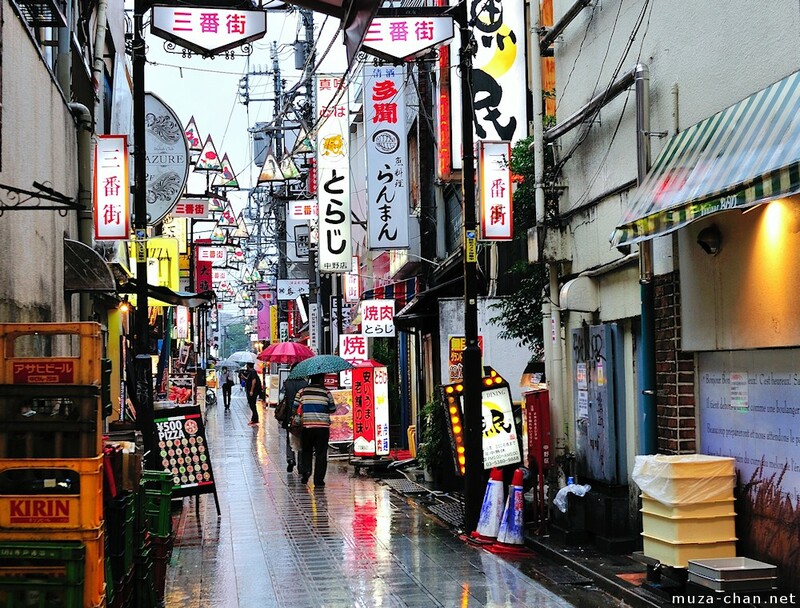 Take a look at this backstreet from Nakano, Tokyo… I find it simply beautiful!